In this inspiring look at the lives of women in the Bible, bestselling author Elizabeth George reveals refreshing models of faith for today. 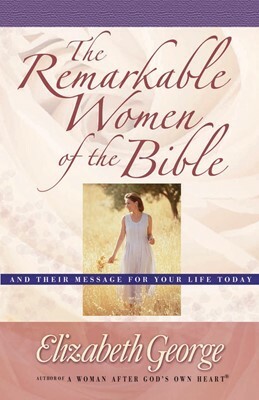 Stories about Eve, Deborah, Sarah, Ruth, Mary, and other women from Scripture offer testimonies of changed lives and reflections on the remarkable strengths God cultivates in women who love Him—Jocebed is an example of a remarkable mother, Deborah's life is an illustration of wisdom, Ruth and Naomi model pure devotion, and Hannah demonstrates sacrifice. Conveying the assurance of God's love, The Remarkable Women of the Bible provides nourishment from a woman's point of view and connects today's woman with the source of fulfillment that sustained her sisters in Bible times—a relationship with God.